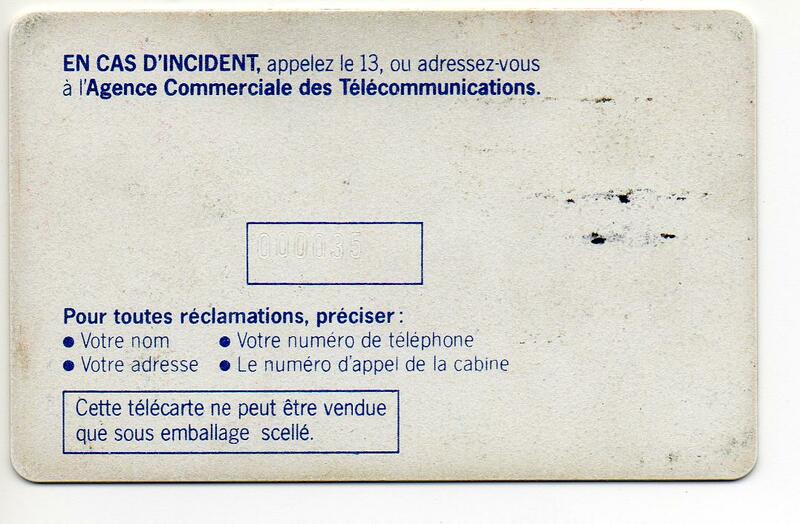 This was Julien's first telecarte, found on the ground at his junior high school in Paris, circa 1986 or 1987. 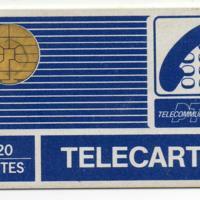 As it turned out, however, all of the card's credit had already been used. 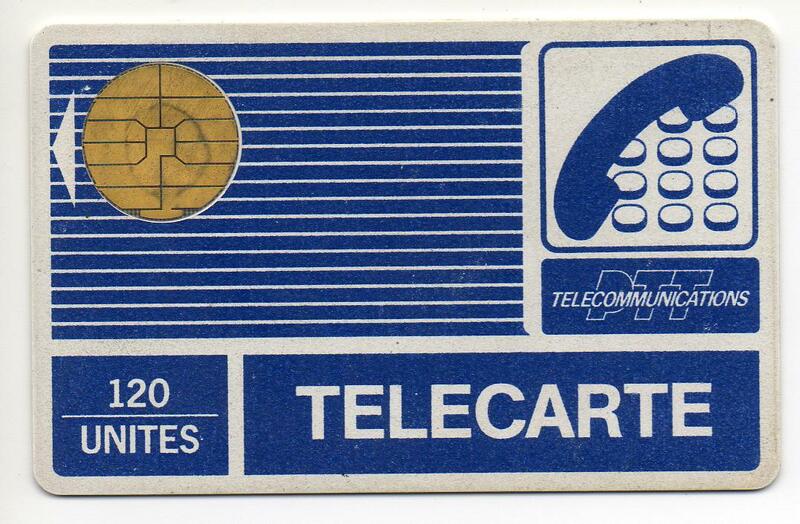 Because the card bears no ad, we know it was produced between 1984 and 1986. 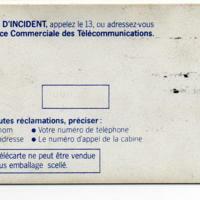 The back indicates that this particular card was #35 of the series.